This was awful, it had one of those large, etched metal plates pointing to areas in the distance explaining what they are, except you couldn't see any of the places because of the trees, perhaps it's ok in the winter. Anyway this is the best I could do. 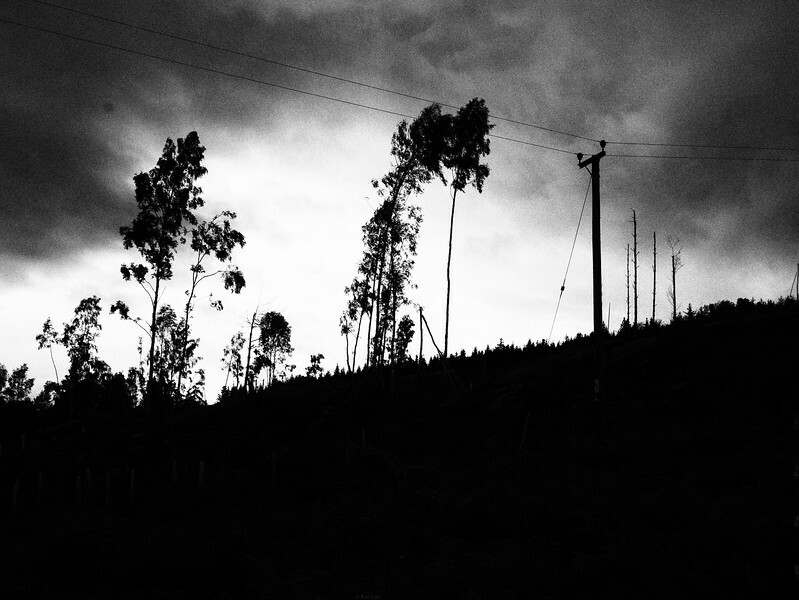 Love the similar but different contrast between trees and the electricity poles.